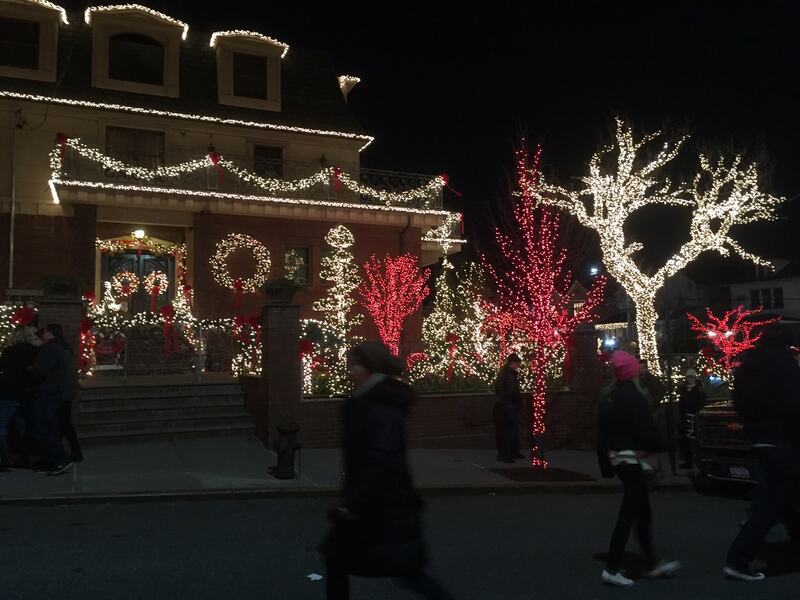 I have been living in New York City for 11 years now and I had never heard of Dyker Heights Brooklyn until recently. 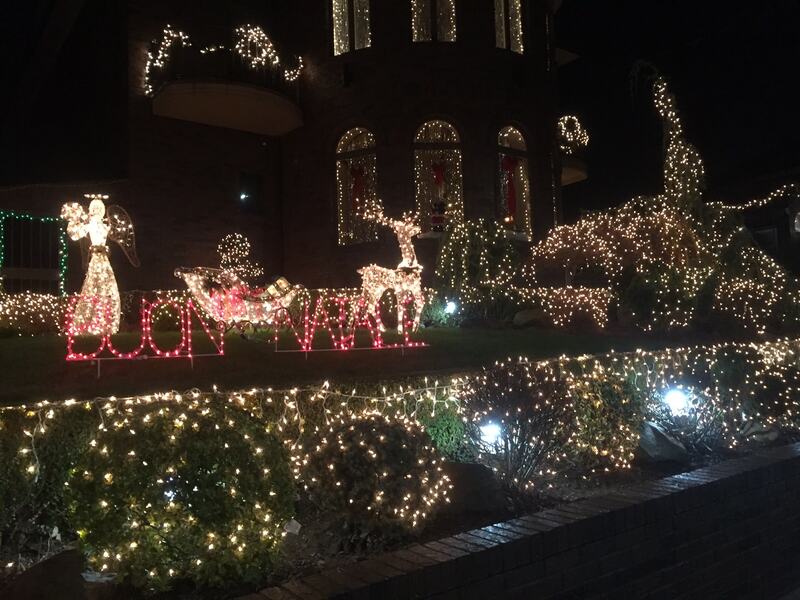 Apparently, the neighborhood is famous for its Christmas Light displays, and for good reason! 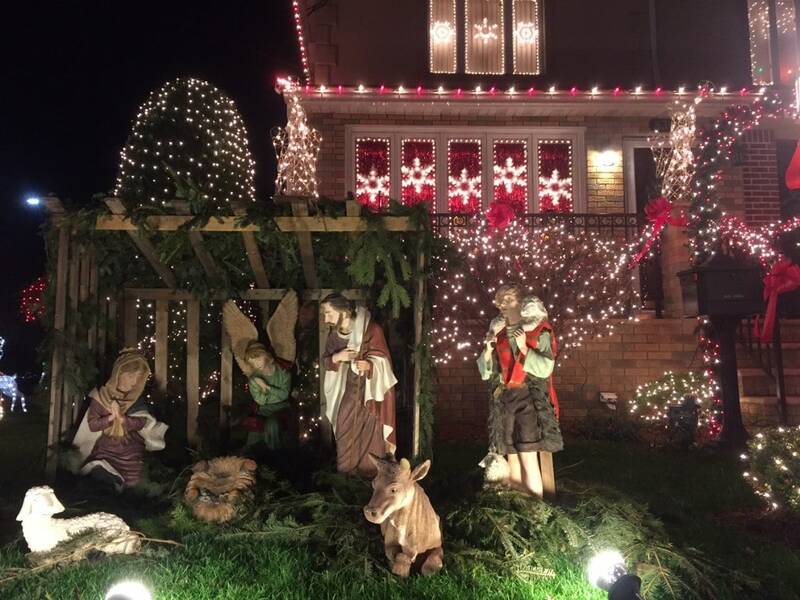 The tradition started back in the 80s and it is rumored that some of the homeowners spend $20,000 on the displays. 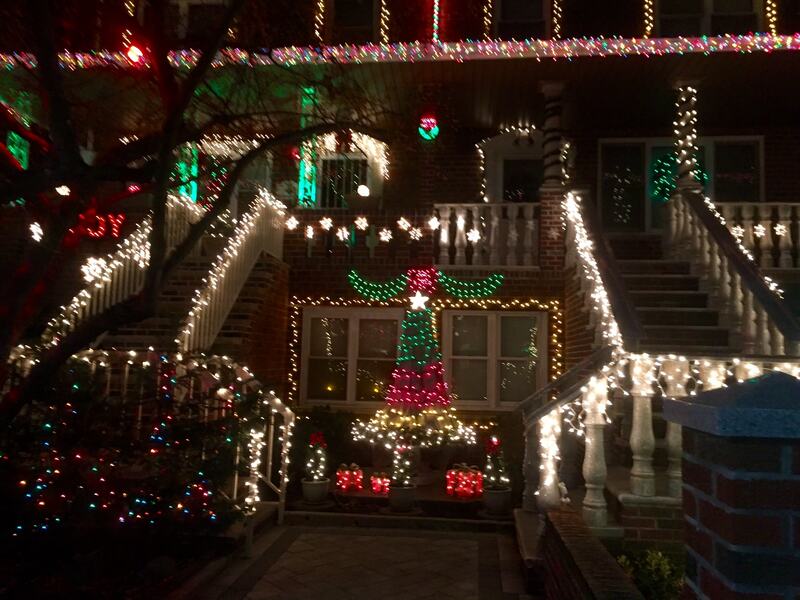 Now there are even organized Dyker Heights tours to take you to see the over the top Christmas decorations. Note: This post contains affiliate links see disclosure below for more information. So many lights and a nativity scene. I love that they also decorated the gazebo! It is a bit of a trek to get to Dyker Heights. The closest subway stop is the D/M train at 18 avenue, which is about a 40 minute ride from Bryant Park. 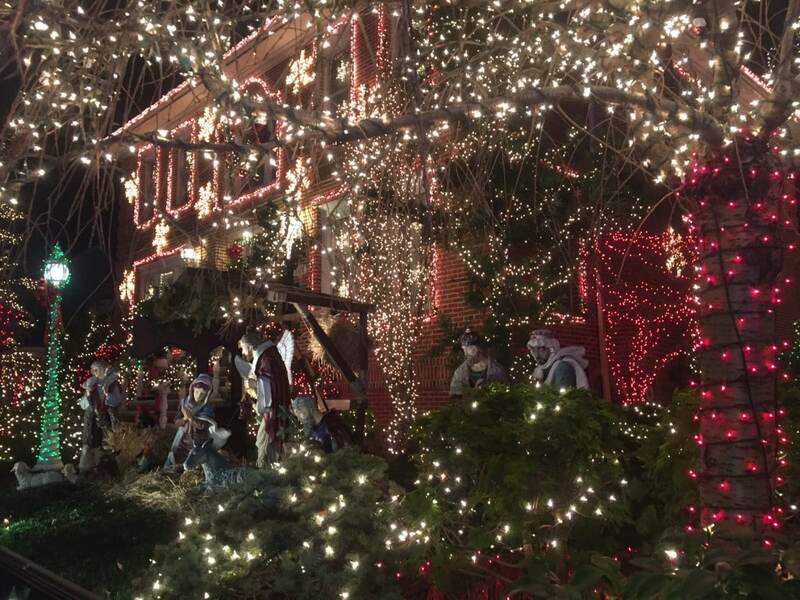 Then it is about a 20 minute walk to the area that has the biggest light displays (between 83rd and 86th streets between 11th and 13th avenues). The walk is straight-forward so you don’t have to worry about getting lost and you will see a few nice light displays on the way. The subway will let you off at 18th Avenue between 84th and 85th Streets. So if you just walk northwest from the subway on either 84th or 85th Street, you will find it. It really was easy! If you are not a walker, you can always use uber. If you are not comfortable venturing out to Dyker Heights on your own, the Christmas lights there have become so popular you can now take a guided tour! 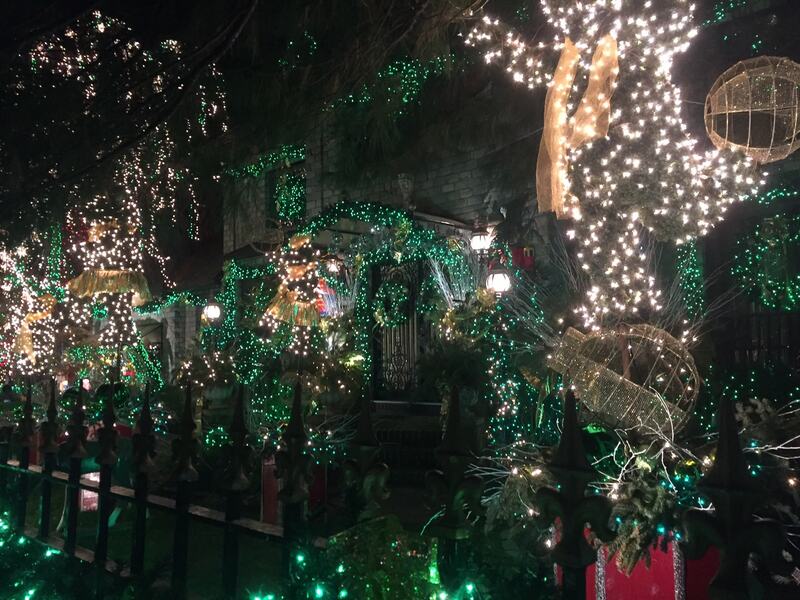 The tours pick you up in Manhattan and take you to Dyker Heights to see all the Christmas decorations. Viator has a few different Brooklyn Christmas Light Tours to choose from – click here to check availability and prices. The first part of the walk was nice and quiet, not many people and there were still some nice light displays, some even had Christmas music playing. Then as I continued my walk, more Dyker Heights homes were decorated and I started to run into more people. You do need to be careful crossing the streets as there are also people who drive to see the lights, and they may not be looking out for pedestrians! The most decorated block was closed off to cars, which was good because it was filled with people. Another nativity scene and more decorations on the windows. People could walk on the street on one block. I spent a good hour looking at all the crazy Christmas lights, and I probably could have taken more time to appreciate the details and seen more. A lot of the displays are animated (I should have taken some video) and many play music. I saw several nativity scenes and lots of reindeer and Santas. One house even had a “real” Santa for kids to visit and another had Elmo. Some houses were also collecting money for charities. 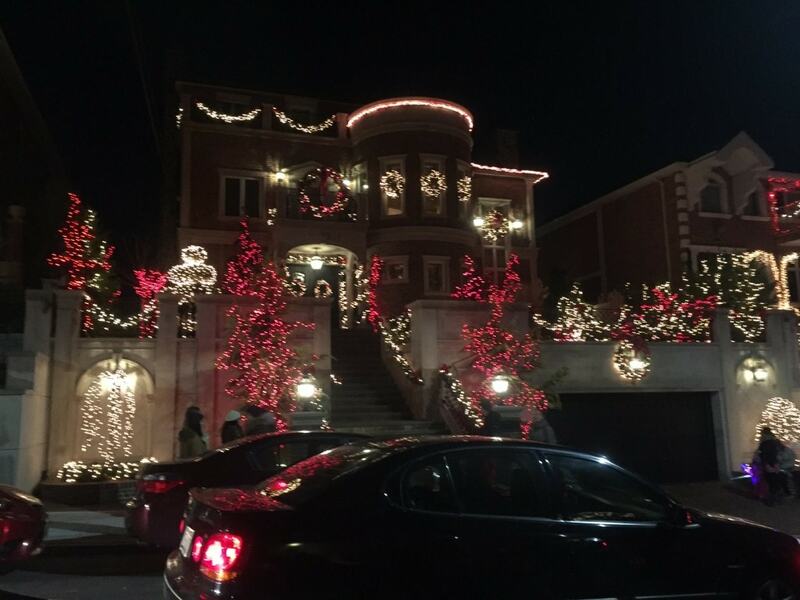 I know there is so much to see in the city during the holidays in NYC, but you really should also see the Dyker Heights houses all decorated. 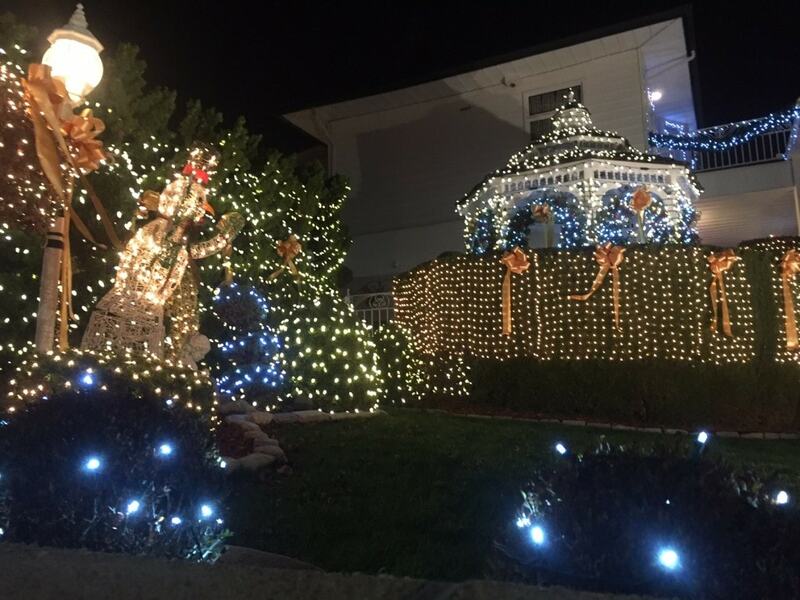 Have you been to Dyker Heights Brooklyn or taken an NYC Christmas lights tour? What other areas do you like to visit to see the holiday decorations? Dress appropriately for the weather because you will be outside for a while. You can bring the kids to see Santa. 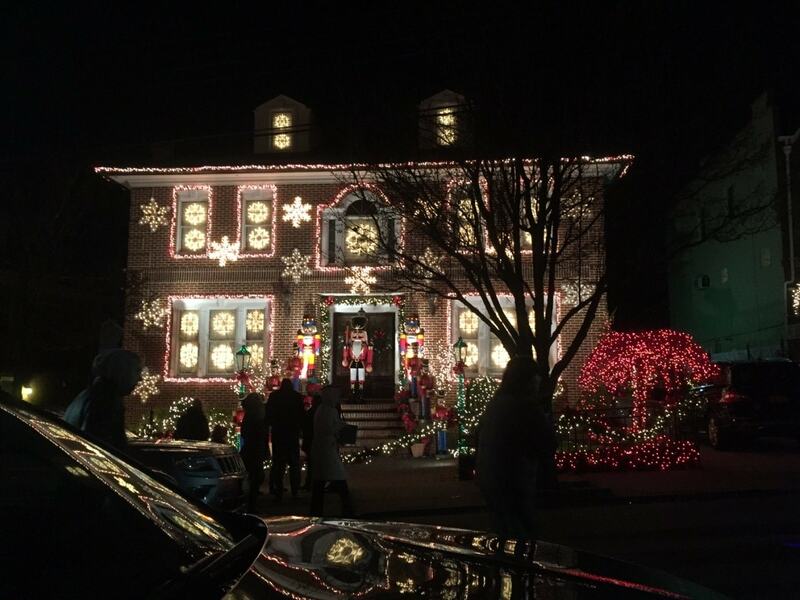 The best Dyker lights displays are a bit of a walk from the subway but it is not hard to find. If you don’t want to walk, you can uber if necessary. Don’t go too late as some homeowners turn off the lights when they go to bed. Nice!! Take pictures next time you go, would love to see. Amazing pictures! Recently visited Vancouver, and the Christmas lights at the Capilano Suspension Bridge were beautiful! I bet! That bridge is beautiful even without any decorations. Same here! I heard the neighborhood is well known for it’s decoration but my girlfriend told me that folks there would have competitions to see who decked their houses out the best. When they were younger, her parents would drive them out there to look at the lights. The weather is so nice, it’s definitely worth an evening out just to walk around and look at the decorations. Nick! Yes you really need to go, it can’t be too far from you? I hope the weather will cooperate. Literally in my backyard — 15 minute drive away. I’d take mass transit but only buses reach the location from where I live and they get tricky if you stay out in that area too late. And yes!! — An uber would be the perfect option for the subway warrior without a car.